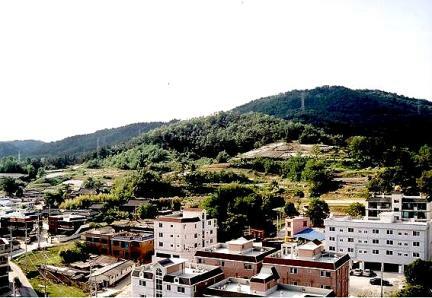 구미시 황상동에 위치하는 삼국시대 고분군으로 인동동 소재지의 북쪽을 둘러싸고 있는 구릉의 남쪽 사면이며, 고분군 서쪽으로 2㎞ 떨어져 낙동강이 흐르고 있다. 고분은 남쪽으로 뻗은 능선의 상부와 다소 급한 경사면에 분포하는데, 대형고분들은 주로 능선상부에 위치하고 있으며, 중소형고분들은 경사지가 다소 급한 능선의 경사면에 분포되어 있다. 신라가 고대국가로서 체제를 갖추어 나가던 4~6세기에 축조된 경북 북부지역의 중심고분군 가운데 하나로 1962년 이후 3차에 걸친 발굴조사와 1회의 정밀지표조사 결과 목곽묘 59기, 석곽묘 90기, 토광묘 2기, 석실묘 1기 등 대형분 28기를 비롯하여 봉토분 271기가 확인되었다. 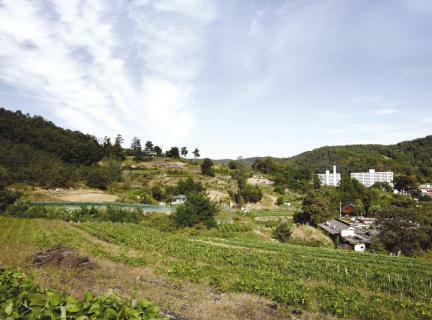 출토유물로는 금제귀걸이를 비롯하여 토기류 345점과 철기류 78점 등 2,000여점의 유물이 출토되었다. 이 지역의 삼국시대 역사와 문화를 밝힐 수 있는 귀중한 유적으로 평가되고 있다. 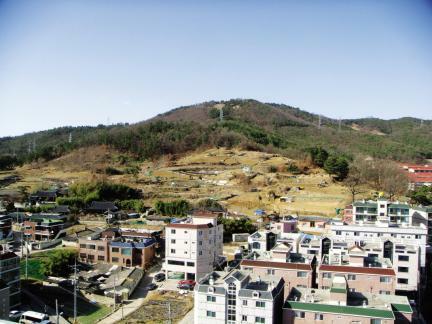 The ancient tombs from the Three Kingdoms Period in Hwangsang-dong, Gumi form the southern side of the hills surrounding the north, which belongs to Indong-dong. Nakdonggang River flows some 2km west of the tombs, which are distributed along the top and somewhat steep slopes of the ridge stretching out to the south. 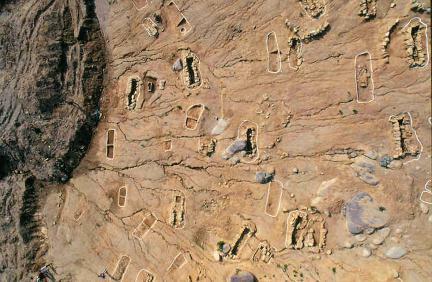 Most of the larger tombs are located at the top, and the smaller ones, on the slopes. 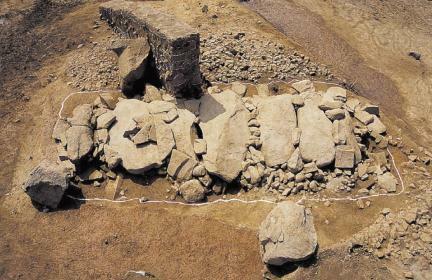 As one of the ancient tombs built in the northern part of Gyeongsangbuk-do in the 4th - 6th centuries as the period when Silla was developing its national systems, this group of tombs has been excavated three times since 1962; it has gone through one in-depth surface survey, revealing 59 wooden chamber tombs, 90 stone-lined tombs, 2 pit tombs, and 1 stone chamber tomb and 271 grave mounds including 28 large ones. 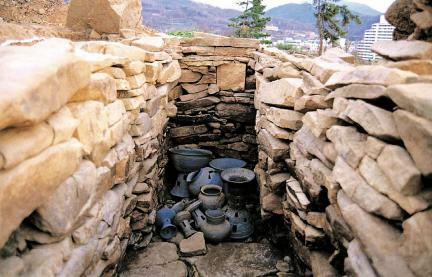 Some 2,000 relics were found including gold earrings, 345 earthenware relics, and 78 iron relics. 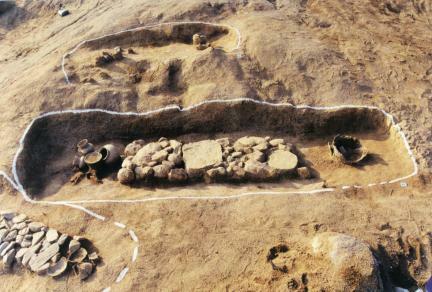 This tomb site is considered valuable in studying the history and culture of the Three Kingdoms Period.